Many of our previous blog posts have been focused on recognizing and identifying roof damage, but sometimes we already know the roof has damage, and the question then becomes whether the roof needs to be repaired or if it should just be replaced altogether. There are a number of factors a roof replacement and repair company will consider when deciding if your residential or commercial roof needs to be repaired or replaced. Keep reading to learn some of the ways to tell what will be best for your roof. When deciding to repair or replace your roof, consider the leak history of your roof. Have many leaks occurred over the years, or has your roof remained satisfactorily waterproof? A professional roofer can inspect your commercial roof for moisture damage. If there is damage to a large enough portion of the roof, it may be more affordable and efficient to simply replace the entire roof rather than try to complete such extensive repairs. 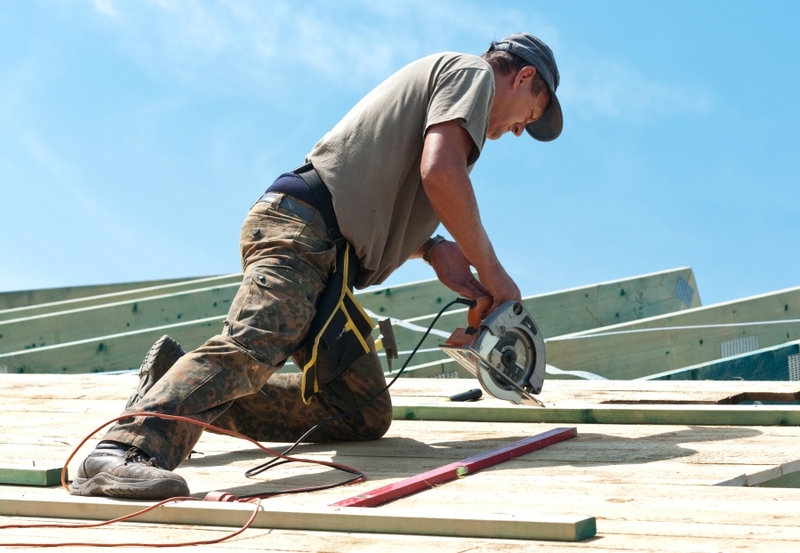 Roofing systems are temporary, and they will need to be replaced eventually. The average lifespan of a roof depends very much on the materials and roof type, but all aged roofs become more susceptible to invading moisture and other damages, such as cracked seals, severe rusting, compromised shingles, etc. If there has recently been a large storm in your area, your roof may have sustained enough damage to make a roof replacement a more realistic option than a repair. Once a large enough portion of a roof becomes compromised, your long-term repairs will likely exceed the cost of a new roofing system. Do you need help deciding whether to opt for roof replacement or roof repair? Contact roofing contractors at Schroeder Roofing via our convenient online form.